help manual DOWNLOAD for mac OS X ? GIMP Forums / GIMP / General / help manual DOWNLOAD for mac OS X ? Just cannot find a Gimp help manual download anywhere! however, the help manual aspect did not install. GIMP help files are available at http://download.gimp.org/pub/gimp/help/. which only led me to this big weird list which i did not understand. however, after installling it and getting the installation successful confirmation, it still did not work. An error notified me that it was not installed, when I tried to open Help in Gimp. I tried re-installing it three times, with no success! 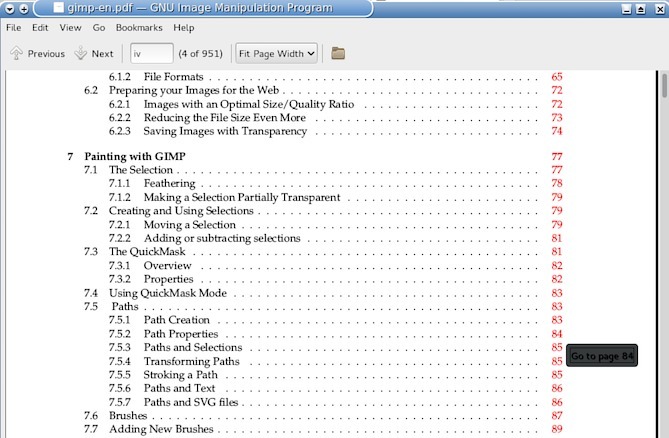 Do you have any suggestions for me on what I can try to get the Gimp help manual downloaded to my iMac? RE: help manual DOWNLOAD for mac OS X ? Hopefully someone will come up with the installation procedure for OSX. The Gimp help files are mostly html, so even if you are unable to open from within Gimp you might still be able to use the package. Thanks for this info, rich! Yet,in regards to this quote above, i just tried this link, but it only leads to a page with a plain jpg image on it. WWWWWWWWWWWWWOW thank you soooo much, rich!!! You made my whole week, seriously!! I depend my life on manuals, and this is exactly what I was hoping for!!!! (I am hoping i will be able to zipdrive it from my windows where i am now downloading this PDF, to add to my iMac's files tomorrow so i can access it while using Gimp on my Mac. It is only a screenshot of what you would look for in your Mac file browser. 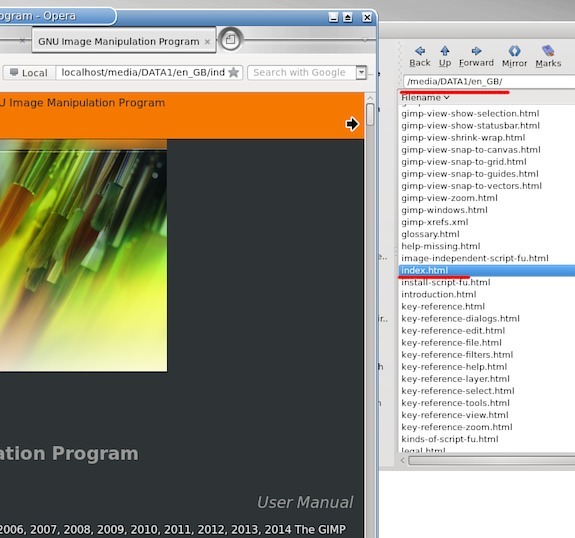 That is the gimp help which you could invoke and open in your web-browser, if it is there and you can find it. I did spend some time looking at those OSX packages. The lisanet help package is a bit old, it is the first Gimp 2.8 version. the PDF is more recent. The lisanet .pkg just unpacked to the base folder .en/ I could not find anything to say where it installs to. For the Gimp packages, totally unable to unpack the latest .dmg but the earlier Gimp I can. Maybe if you can find that it will shed some light on your problem. I use linux so what you really need is an OSX user. Not many around here. I'm totally happy with the solution you gave me o the PDF...work awesome for me! Thanks again!